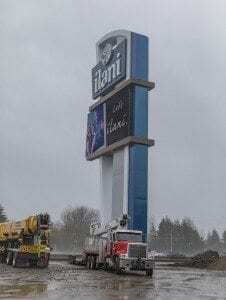 LA CENTER — Despite what has been one of the Pacific Northwest’s wettest winters on record (not to mention those back-to-back snow and ice storms in January), project managers for the Cowlitz Indian Tribe’s new ilani casino-resort say construction is “well over 80 percent complete” and that the casino’s planned mid-April opening is still in the cards. Drivers using the northbound off-ramp from Interstate 5 to La Center Road at Exit 16 should be prepared for flaggers and a temporary off-ramp this week. 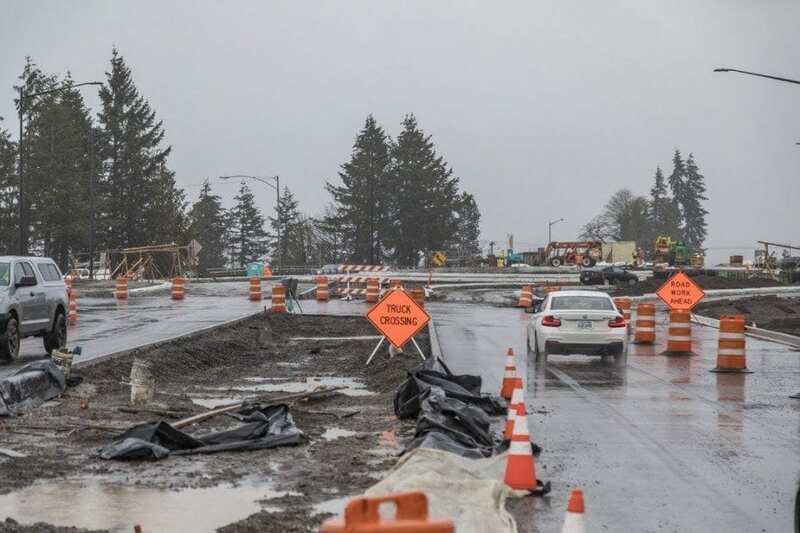 Road crews will be working on the I-5 Interchange at Exit 16 and will have flaggers guiding traffic to the temporary off-ramp from 4 to 6 p.m., Mon., March 6 through Fri., March 10. The new casino will feature 100,000 square feet of gaming space, two entertainment venues, and 15 bars, restaurants and retail shops. Future plans at the Cowlitz Reservation site call for a convention center and hotel to complement the mega-casino. On the ilani Facebook page, photos of slot machines and gaming tables inside the new casino started popping up about three weeks ago. The massive ilani sign went up the first week in March. When it opens, the casino is expected to have 75 gaming tables, five high-stakes tables and nearly 2,600 slot machines. It will operate 24 hours a day, every day of the year. Of course, it’s not just the casino building’s construction that affects ilani’s opening date. Schultz says there are really three construction projects to consider: the casino and its surrounding parking area; the nearby wastewater treatment facility that will serve the casino and future resort/hotel; and the I-5 interchange improvement project that will allow traffic to flow to and from the highway to the casino as well as the adjacent city of La Center. The water reclamation plant, designed by Parametrix, Inc., an engineering firm that has completed several similar wastewater treatment plants throughout Washington State, relies on membrane technology to take wastewater back to drinking water standards before injecting the purified water 120 feet into the ground using a Class V injection well. A mid-April casino opening would mean that the wastewater treatment plant must also be up and running by that time. 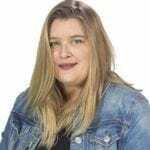 Schultz cautions that, although the project is still on target for a mid-April opening, the weather over the past couple of months has made things more difficult for contractors. Paving in particular, he says, has been more challenging with the unrelenting February rains.